Cassell illustrated, the publisher for my big glossy book the Book of Numbers have just told me that the book continues to be sold to more and more countries. I haven't received copies of all of them, but apparently it has sold in Chinese, Dutch, Finnish, French (France), French (Canada), Japanese, Korean, Spain, Vietnamese and German. The Brazilian version will be printed in December. Also, last Friday a cardiologist flew all the way from USA to chat to me about this work and the possibility of further applications. I wonder where this will go next? As usual, if you want to find out more or leave a comment about the app, please visit the app support page here. 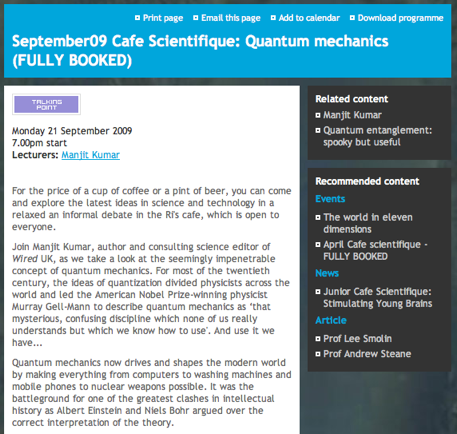 This Monday I hosted this month's Royal Institution cafe scientifique as usual. Our guest was my editor at WIRED - Manjit Kumar, who came and talked to us about his book "Quantum." The audience was stunned into mild shock by the mind twisting nature of quantum physics. I wish Manjit and I knew more about the detailed science of the topic, but Manjit focusses on the history and people, and my main recollection was of taking a Quantum Physics course and finding the maths horrifyingly esoteric and removed from reality (or at least what I recognise as reality). You can see more details of the event here. A couple of years ago I spent some time collaborating with Gordana Novakovic - an artist who specialises in working with scientists and engineers, using "new media" to help create her artwork. I helped get her the position of artist-in-residence at UCL and we obtained funding from various sources to work together. 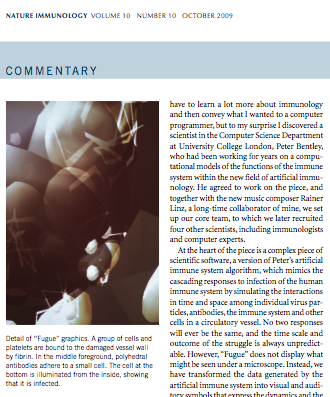 In the "Fugue" project we developed her vision of an interactive immune system. It used my artificial immune algorithms combined with a kind of swarm algorithm, which I created with other computer scientists such as Tony Ruto. "Fugue" became a fantastic-voyage-style immersive environment in which participants could see immune cells attacking pathogens and watch as their presence affected the movement of cells in the virtual system. Gordana has now exhibited this artwork all over the world and recently the work has been described in an article publised in Nature Immunology, doi:10.1038/ni1009- 1043. A new application has been released by Dr Peter Bentley of the Digital Biology Group in UCL Computer Science (and author of The Undercover Scientist, recently published in paperback). The "iStethoscope" turns the phone into a very effective digital stethoscope by amplifying and filtering the audio in real time (and analysing it with a spectrogram display). 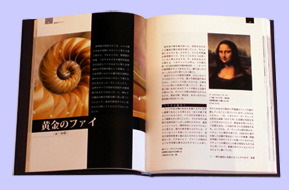 The free version was available for 10 months and had several million downloads worldwide. This led to several cardiologists getting in touch, and to international collaborations and the release of a professional version of the application. There is now a medical trial underway. Users are able to email their heart audio direct to a laboratory where the data are analysed and used to build an automatic diagnosis system. Other medical applications are under development. One of my old students Udi Schlessinger gave me a mention in his blog. I showed iStethoscope Pro to a group of students today. When I walked around the room with the spectrogram . . . they were amazed. And finally Apple finally approved the latest update 1.02 which includes those two often- requested features: a button to switch to the graph mode (touch the stethoscope image) and the ability to ignore the last 1 second of audio. As usual if you have comments or queries about the app, please go to the support page.